We are just four days away from the highly anticipated Indian Premier League, and the tension is enroute to its boiling point. The BCCI earlier today, announced the entire set of league stage fixtures, with all the games to be hosted in India. The league will continue to progress in the home and away format per team. The knockout schedule however, is yet to be decided. Thus, without further delay, let's take you through two-time champion Kolkata Knight Riders' fixtures and schedule. 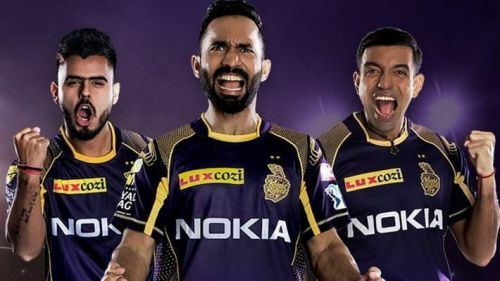 The Knight Riders were mighty impressive last season with their third-place finish, but with the hierarchy having addressed a few issues in the auction, Dinesh Karthik and co. will be aiming to give it a real battle for the top spot. The world's most hard-fought T20 league will commence on the 23rd of this month, but KKR will play on the second matchday, at home to the mighty Sunrisers Hyderabad. The fixture also happens to be the first of two games that are to be played on super Sunday. Three days later, they host Kings XI Punjab at Eden Gardens, before playing their first away game at the Indian capital against a young Delhi Capitals side. After about a five-day long break, KKR will rub shoulders with RCB, before taking part in two games in the space of four days. Their home game against the champions follows after this strenuous run of fixtures, as they play MS Dhoni's side on 14 April. Matches against RCB, SRH, RR and MI come next, before the Kolkata-based team locks horns with KXIP and MI, in what are their final two fixtures. The away game at MI is also the final league game of the season. How things pan out for KKR at that point is of course, yet to be unearthed. The team snapped up a host of foreign talent including Lockie Ferguson, Anrich Nortje and Carlos Brathwaite, but their strength lies at the top of the order in Chris Lynn and Sunil Narine, along with the finishing abilities of Andre Russell and the skipper. Not to mention, Kuldeep Yadav holds key to the team's fortunes. Dinesh Karthik (c), Robin Uthappa, Chris Lynn, Andre Russell, Sunil Narine, Shubman Gill, Piyush Chawla, Kuldeep Yadav, Prasidh Krishna, Nitish Rana, Rinku Singh, Carlos Brathwaite, Anrich Nortje, Lockie Ferguson, Harry Gurney, Nikhil Naik, Yarra Prithviraj, Shrikant Mundhe, Joe Denly.